'PM Narendra Modi' release was stayed after the Election Commission said that the Vivek Oberoi- starrer was in violation of model code of conduct. Vivek Oberoi-starrer PM Narendra Modi's release was stayed after the Election Commission's order. The EC said that allowing such films to be displayed could "disturb the level playing field." In a latest development, the trailer of the biopic on Prime Minister Narendra Modi has been taken off YouTube. 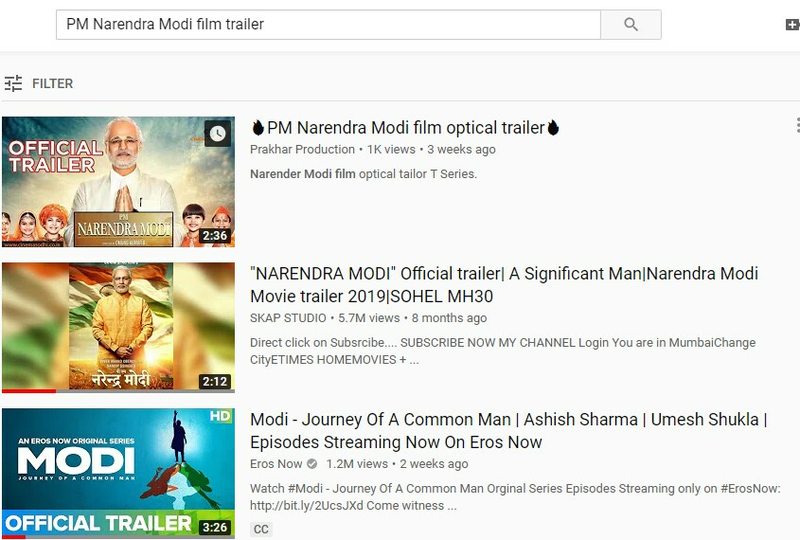 If one tries to find PM Narendra Modi trailer, the top search is of an Eros Now series on Modi, titled Modi: Journey of A Common Man. The trailer of Modi: Journey of A Common Man is available for streaming on YouTube and the series available for viewing on Eros' OTT platform. 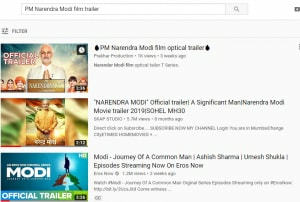 Here's a screenshot of what follows after you search 'pm modi biopic trailer' or 'PM Narendra Modi trailer' on YouTube. After postponing the initial release date of PM Narendra Modi from April 5 to April 11, the makers of the film suffered a setback when its release was postponed indefinitely by the EC. In its order, the EC had mentioned that "any poster or publicity material concerning any such certified content, which either depicts a candidate (including prospective) for the furtherance (or purported to further) of electoral prospect, directly or indirectly, shall not be put to display in electronic media in the area where MCC (model code of conduct) is in operation. (sic)"
The trailer of PM Narendra Modi biopic was unveiled on March 21. In the light of controversy surrounding its release, producer Sandip Ssingh told IANS, "We are in a lot of stress. The team is losing confidence, but we hope and pray that we get justice and we release our film. For the first time it has happened that a filmmaker has to go through this." After the EC's order staying its release, the makers of PM Narendra Modi approached the Supreme Court. 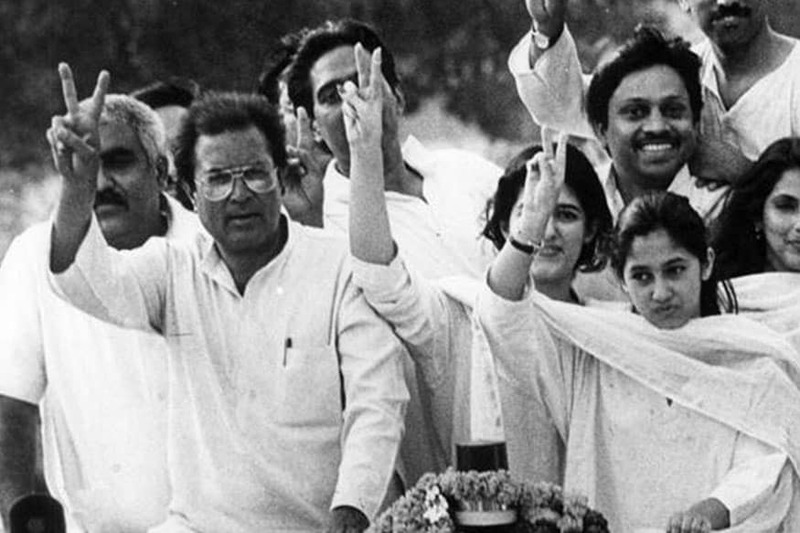 On April 15, the Supreme Court directed the EC to watch the film and review its decision.